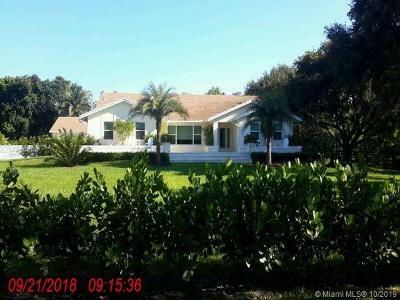 13675 SW 24th St, Davie, FL.| MLS# A10581853 | Susan J Penn l Best Agent l Buy & Sell South Florida Homes! Modern elegant home for the ages with its dynamic use of bespoke materials & close attention to detail. Artfully lighted landscaping & unique wood decks complement this 6,072 total sqft stunning trophy home nested on over 1 acre in Davie! Main home is 4 bedrooms, 3 bathrooms w/family room. Separate 1/1 guest house w/kitchenette beautifully appointed. Offering: 2016 roof, garage parking for 6 cars, heated pool/Jacuzzi; impact windows; chef's kitchen; mini bar & wine cooler, fabulous Thermador 6 burner gas stove w/double ovens & hood; stainless steel appliances; granite counter-tops; open floor plan; wood flooring that won't scratch; glass shower doors w/pebble flooring; water purification tank; long driveway. Wonderful, inviting family layout perfect for entertaining, Equestrian property. Directions: 136th Ave - To - SW 24th St - Second House On The Right. 13675 S. W. 24th Street, Davie, Fl 33325.